Dr. Smith began the practice of Chiropractic in December 2002 in Angola NY immediately after his graduation, In June 2003 he established Lakeshore Chiropractic & Wellness at Sturgeon Point and Route 5. He joined a multidisciplinary practice in Derby for 3 years and in August 2011 re-established Lakeshore Chiropractic & Wellness at his current location.Dr. Smith continues his chiropractic education, taking and incorporating additional skeletal, neurological and muscular rehabilitative techniques. 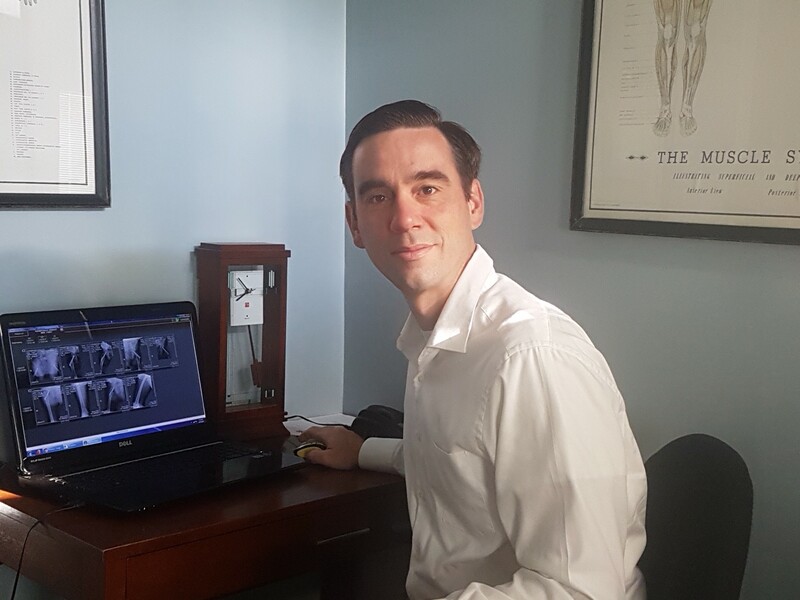 He specializes in the management of acute and chronic spinal injuries using Cox Flexion-Distraction technique, diversified spinal manipulation, myofascial muscular rehabilitation and ultrasound and other physiotherapy modalities.